eTIPS training is a self-paced, innovative approach to responsible alcohol training. The course allows participants to obtain the training anywhere, anytime. All of our sessions are conducted by certified TIPS trainers who, in addition to their extensive work experience in your industry, have completed a rigorous two-day, Train-the-Trainer workshop. 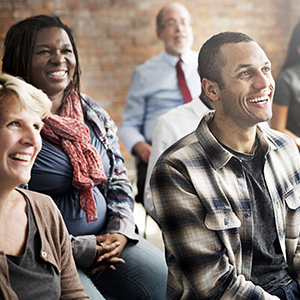 Becoming certified as a TIPS trainer offers many advantages such as the flexibility to conduct training sessions where and when you need them, a substantial savings over online training, and a supplemental revenue. Take an approved alcohol training course in your state. TIPS news, updates, monthly trainer spotlight, icebreakers, training tips, and much more. Subscribe Now! As one of the largest spirit suppliers in the world, we have an obligation to teach them [bartenders] how to protect not only themselves but their customers as well. 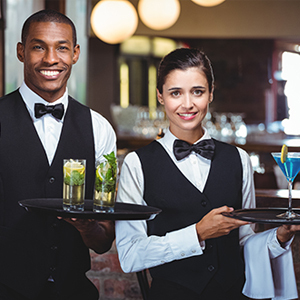 While it’s so important for bartenders to be TIPS certified, it is equally important for bar owners to make sure that their staff are protected and that they protect their bar. Having an informed staff protects the bar from lawsuits and liability. Training: we were a very small group – about 6 people total – and that made things much more interactive. The trainer was knowledgeable and very helpful in offering a lot of practical examples. Being in a group of people from different fields was interesting and helped me to see the topic from a different perspective. I wanted to thank you on behalf of Howard and the TIPS training. We feel it was very helpful and has allowed us to implement some new policies based on learnings from that day. It was also great to get some of our staff involved so they too can help provide a safer, more friendly environment for our patrons. Initiating innovative methods to prevent underage drinking and curtail irresponsible use of alcohol has always been a goal of Heineken USA. To that end, we are pleased to partner with the TIPS Program on education and training for the responsible service, sale, and consumption of alcohol. I am applying for a new management position and in my interview when I mentioned I am a TIPS trainer her eyes lit up and seemed to help solidify my chances. Thought that was awesome and just wanted to thank you and the organization for helping me move forward in my career! Our 25 year partnership with the TiPS Program has cemented our commitment to responsible service with our hotels, our owners and the communities in which we operate. My favorite part as a TIPs trainer is watching people arrive thinking that they are going to listen to a boring lecture about alcohol information. Our participants become very engaged as they realize that they are the experts and we are going to work together to facilitate conversations to address issues that are specific to them and their friends. I took TIPS training before opening my retail craft beer store and at first I thought it was silly because most of what I learned seemed like common sense. But it turns out that the training wasn't just for my insurance company. It was to protect me and my business later down the road.